OXFORD, Miss. — Ole Miss’ preparation for this weekend’s contest against Louisiana-Monroe continued Tuesday under the hot Oxford sun. 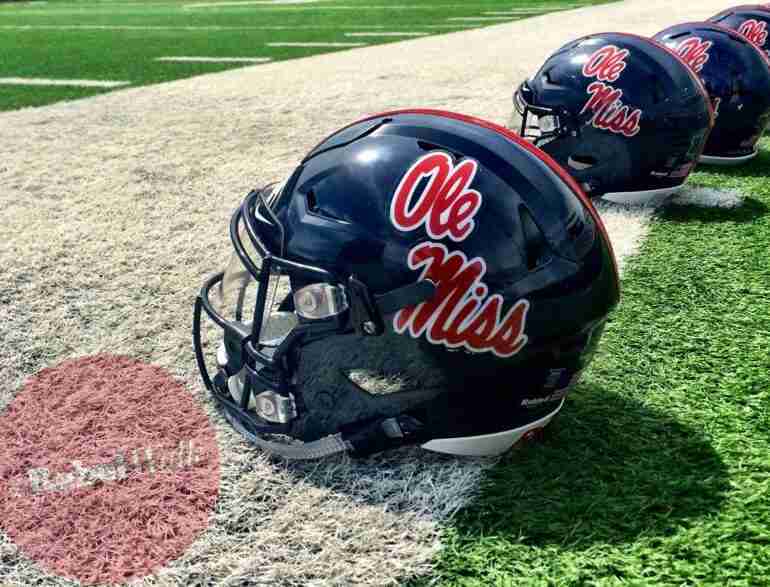 Despite the sweltering heat, the Rebels exhibited a lot of energy on the field during drills as they get ready to host a Homecoming game against the Warhawks Saturday at 3:00 p.m. (CT). The big story thus far this week is movement at the secondary positions. C.J. Moore, the esteemed Chucky Mullins Award safety, suffered a torn pectoral injury against LSU and will be out 4-5 months. Number 38, unfortunately, will end his career on the sideline, leaving an already thin defensive backfield behind. To take his place, Assistant Coach/Co-Defensive Coordinator/Safeties coach Jason Jones and the rest of the staff have arranged for safety-turned-running back Armani Linton and running back Tylan Knight to move to defense to prepare to step in for the injured players in the defensive secondary. Linton has previous experience at the position, and Jones feels as though the junior is mentally and physically prepared for the challenge ahead of him. “We moved Armani Linton back to safety, and he did a great job today,” Coach Jones said after Tuesday’s practice. Coach Jones and company have also acquired the services of freshman running back Tylan Knight to help out in the safety position. Jones explained that Tylan is getting ready to go when needed. “It was the first time we’ve had him on the defensive side of the ball,” Jones said after practice. Also, with regards to the secondary, C.J. Miller was seen taking reps in the place of injured Moore at the safety position and seemed to fit in really nicely with the rest of the group. Although they were banged up a bit at LSU Saturday, wide receivers D.K. Metcalf and A.J. Brown both practiced Tuesday. Freshman linebacker Kevontae’ Ruggs will sit out the first half of the ULM game Saturday following his ejection for targeting against LSU. Willie Hibbler was able to rotate into Ruggs’ place today, along with linebacker Donta Evans. As for the rest of the squad, everything seemed to be business as usual as the Rebels prepare for their bout this weekend against the Warhawks. The game will kick at 3 p.m. (CT) on Saturday and will be televised on the SEC Network.